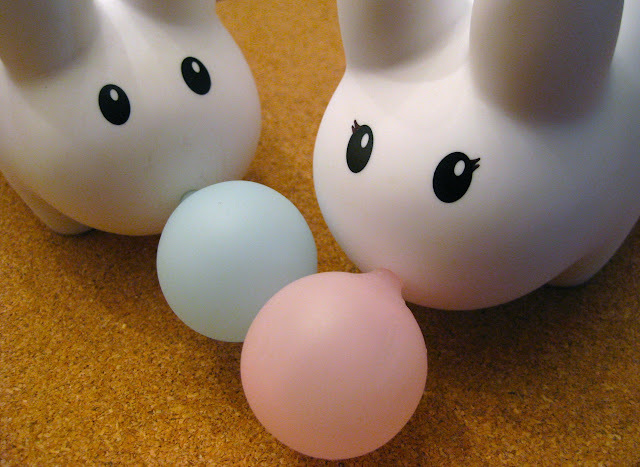 How do you tell boy labbits (bucks) from girl labbits (does)? It's simple really. Does like Miss Clover Juneau have longer eyelashes and blow pink bubbles. Bucks like Master Pipkin Townsend don't have visible lashes and blow blue bubbles. At least, that's the case in this photo. It is perfectly fine for bucks to blow pink bubbles and for does to blow blue bubbles. And it's okay if bucks have longer lashes and does have shorter ones. So...the best thing to do might be to just politely ask. Please do not pick up the labbits and look for their buck or doe parts. They find it quite rude!